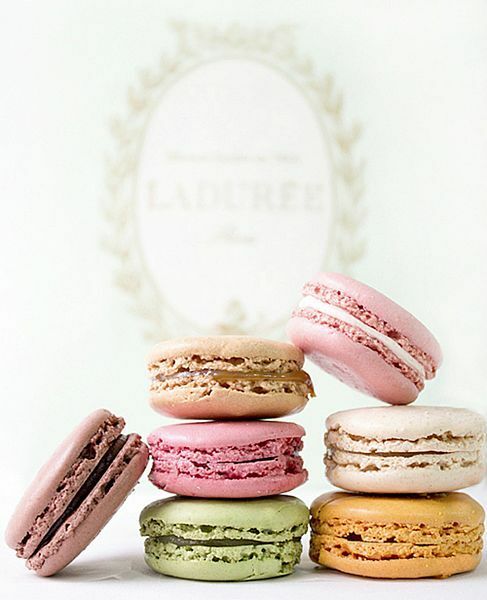 French macarons… is there a more beautiful cookie in the entire world? The first time I tasted one, I have to say, I was surprised. I expected it to be crispy, and it certainly was crisp on the outside. But the chewiness of the inside, now that was a surprise. A great one is crispy on the outside but has that distinctive chew on the inside. And that little ruffled edge that sticks out around the bottom? It has a name! (Of course, it does! 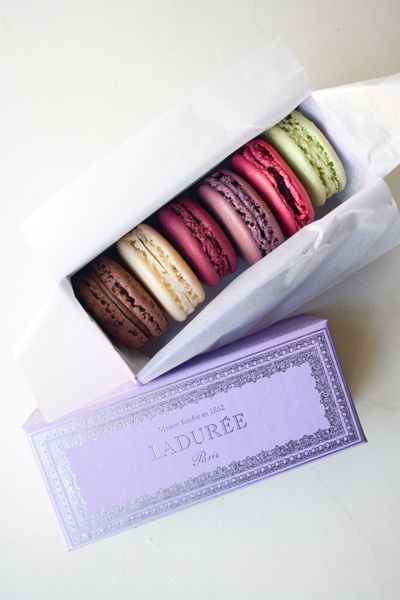 The French have a name for everything, especially when it comes to food and/or cooking!) That is called the “foot” and they are not considered correct unless they have “feet”. 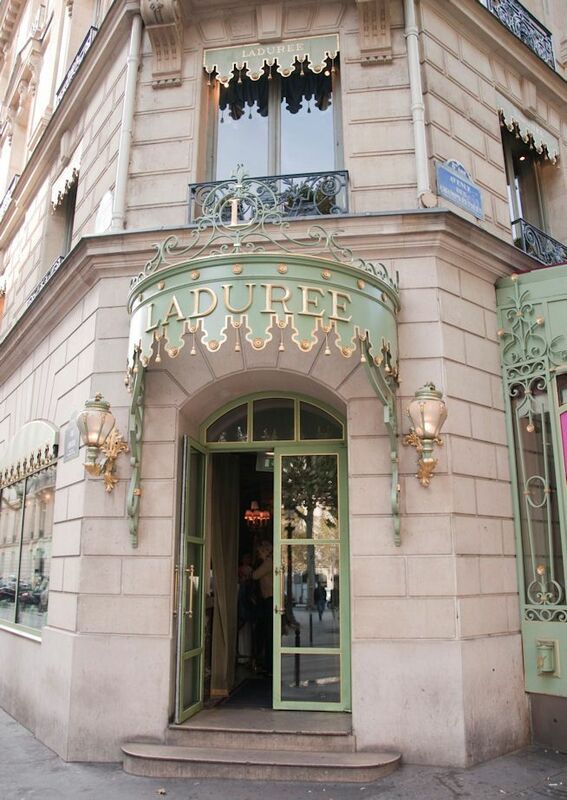 In Paris, the Laduree chain of pastry shops is surely the most famous maker of macarons in the world (many, many pins have been devoted to the photographs of it’s beautiful displays). 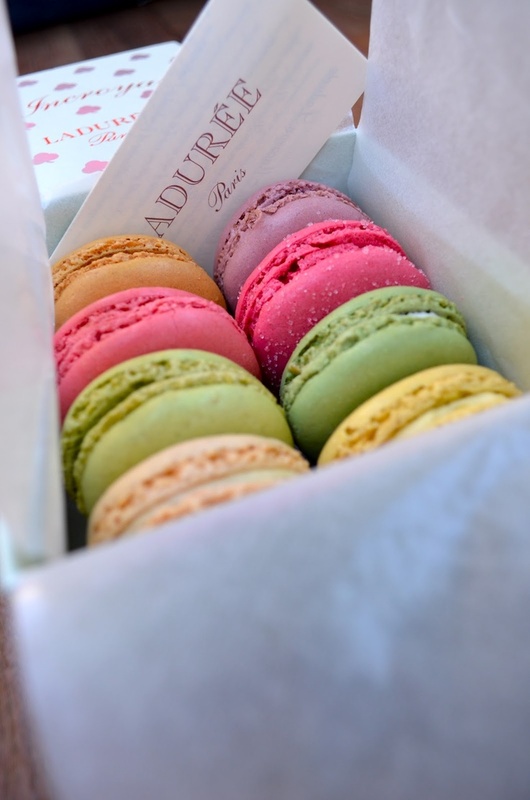 And because it’s Paris, even McDonald’s sells macarons in their McCafes!! 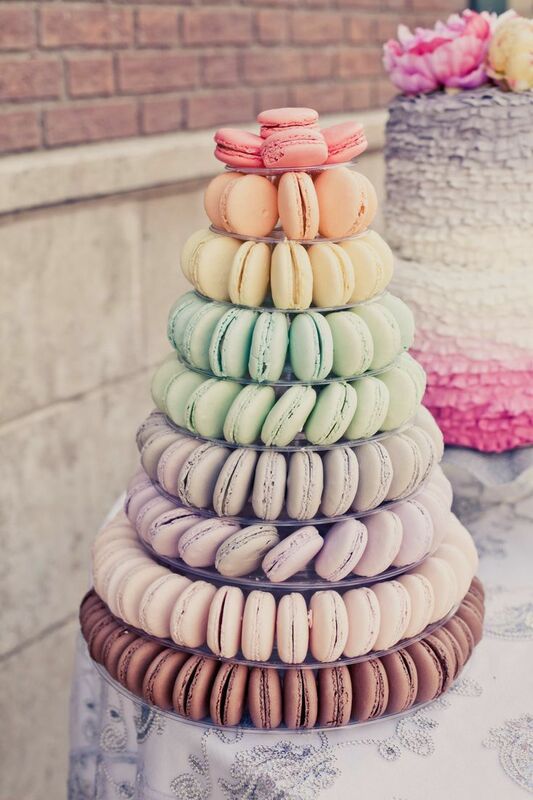 So, because it’s Friday, and for no particular reason other than they are beautiful, here’s to the wonderful, the French, the delicious….macaron…. Enjoy!